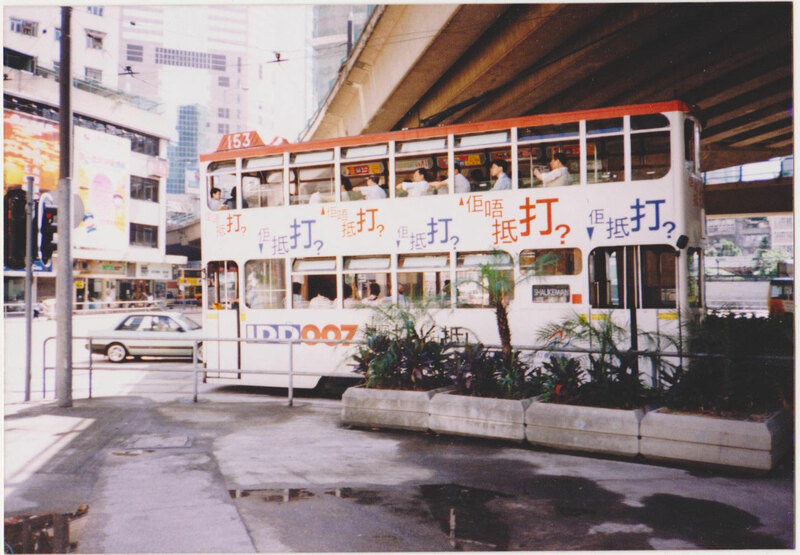 Cantonese language, more properly called Yue language (粵語), commonly called 白話 by Cantonese people, is formally defined as a Yue dialect (粵方言), and is one of the most famous Chinese dialects. 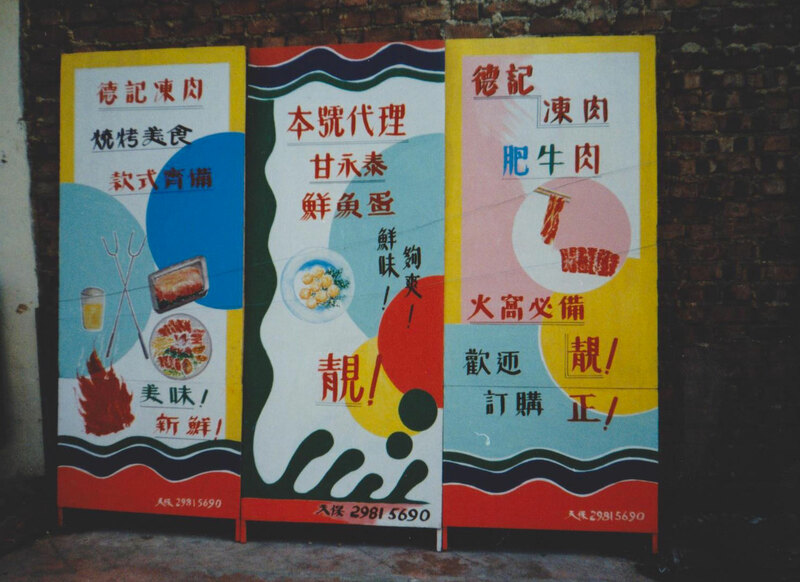 Its fame is also due to the fact that is the dialect spoken in South China, therefore in the part of China that has historically been an important place of commercial contact with the rest of the world. The areas where it is spoken are the whole Province of 廣東 and the South of 廣西: it is important to note that nowadays in these provinces live also many Chinese who are not Cantonese and that do not speak the language, or cannot speak it well. As 粵語 we shall consider all those dialects, on the whole quite similar, spoken in South China and indicated as 廣府片, 四邑片, 羅廣片, 高陽片, 吳化片, 邕潯片, 梧州片, 勾漏片, 欽廉片. The Italian-Cantonese/English-Cantonese Dictionary is the only dictionary in the world to present together characters, Yale romanization and explanation of the terms, listed in alphabetical order by pronunciation together with the index of Italian or English words, and search index by characters. Marco Bosio studied Cantonese and Chinese writing at the prestigious Chinese University of Hong Kong, immersing himself in the local culture and becoming one of the leading experts of this language among Italian native speakers. In Hong Kong he has been an interpreter in Cantonese, Italian and English, for a large and varied range of clients, among which we must remember the interview of Italian State TV RAI journalist Achille d'Amelia to the last Governor of Hong Kong, Chris Patten, before the Hong Kong handover, and Roberto Baggio's AC Milan Football Club interpreting services, which included the post-game press conference during which Marco Bosio translated (almost) simultaneously Cantonese, English and Italian to allow both Chinese and English journalists to understand the answers. Surprisingly, a sports journalist wrote the following day an article about the match talking also about him (see article and photo). 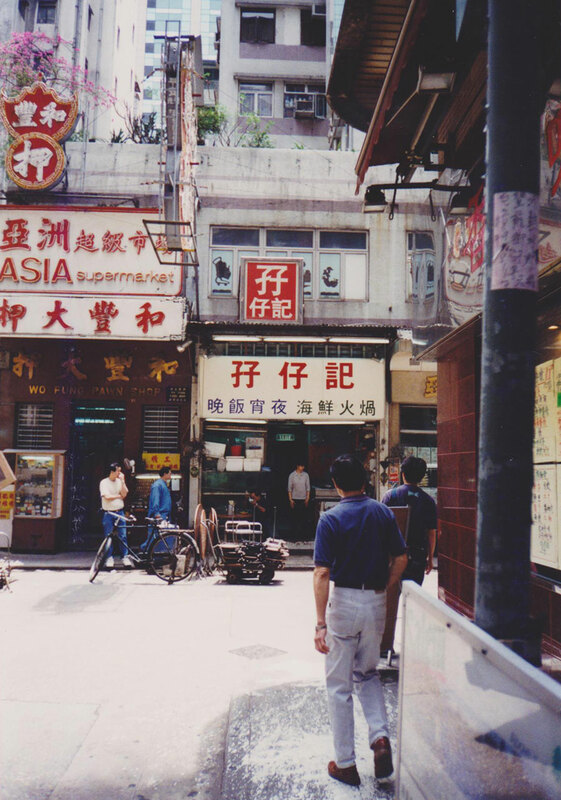 Like all languages classified as "dialects", the Cantonese is also perceived as a mainly spoken language. The ease of writing Chinese characters with the aid of a computer, combined with the strong cultural identity of the Cantonese people gives life, instead, to a great variety of texts written in Cantonese, from articles in magazines and newspapers to advertisements, song lyrics, texts of the Cantonese Opera, food names, blogs. I propose here a collection of materials proving the use of written Cantonese in everyday life. 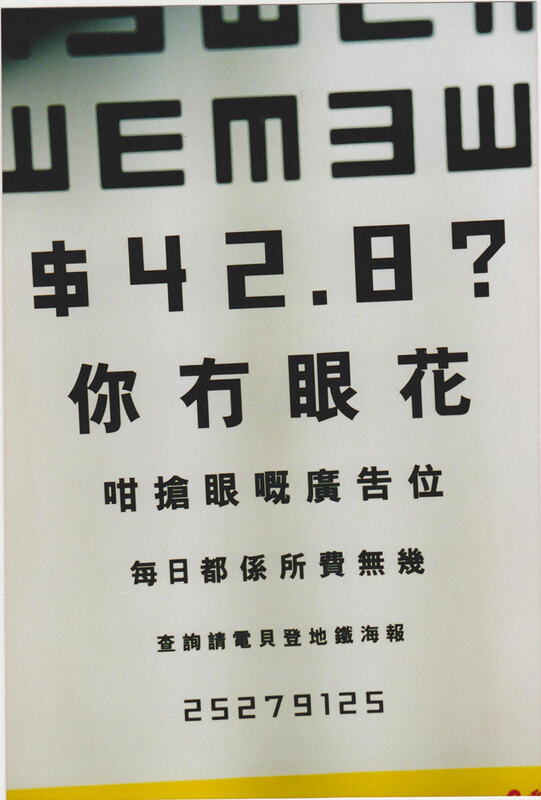 Advertisement - Use of the character 蚊 to indicate one dollar. 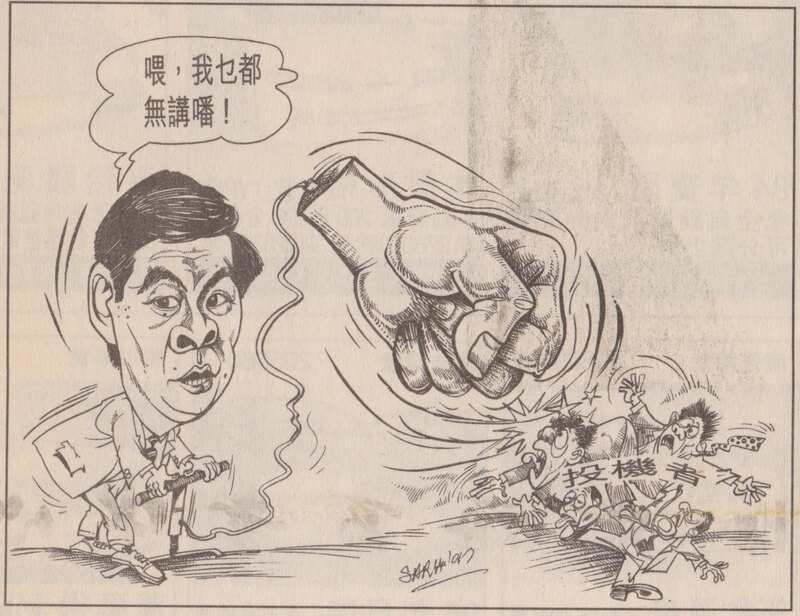 Newspaper cutout - Cantonese text about the handover (of Hong Kong to China). 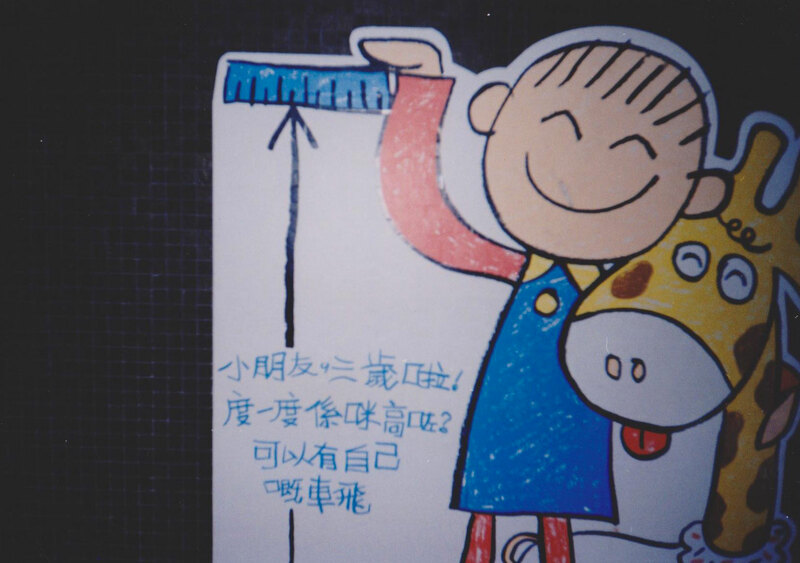 Notice - Dedicated to kids, meant to measure the height under which the metro ticket is not needed. See 係唔係 in its colloquial form 係咪. Comic strip - Colloquial satirical text. 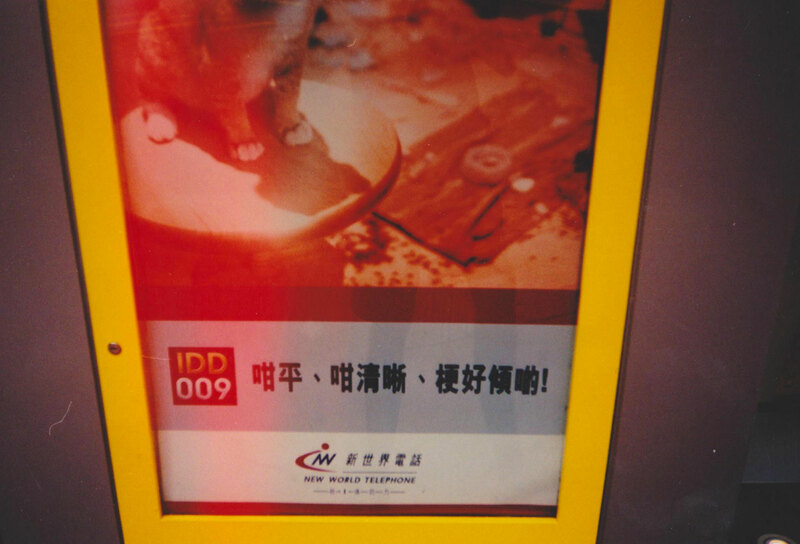 Advertisement - Advertising boards of a simple restaurant, note the use of 靚 and 正.
Advertisement - Texts basically in Cantonese, built around the sound of 氣.
Advertisement - On a cable car in HK, featuring the Cantonese expression "佢抵打". 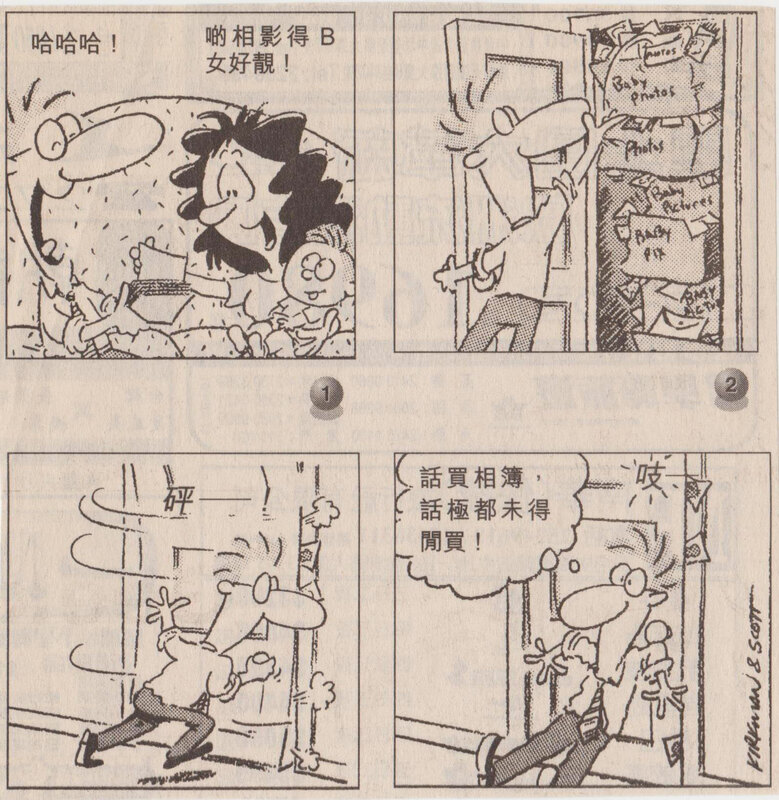 Comic strip - Colloquial Cantonese text, see "B 啤", further colloquial simplification of the onomatopoeic "啤啤女". 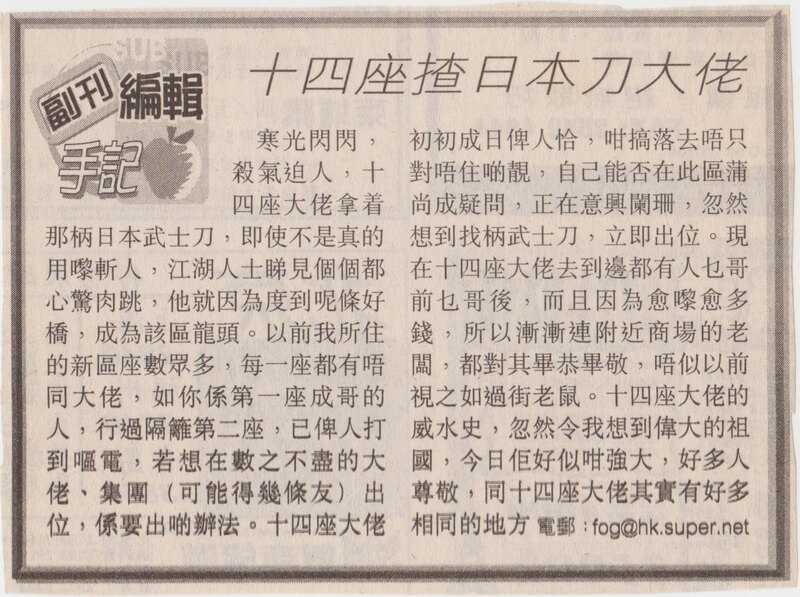 Newspaper cutout - The last sentence is in Cantonese. 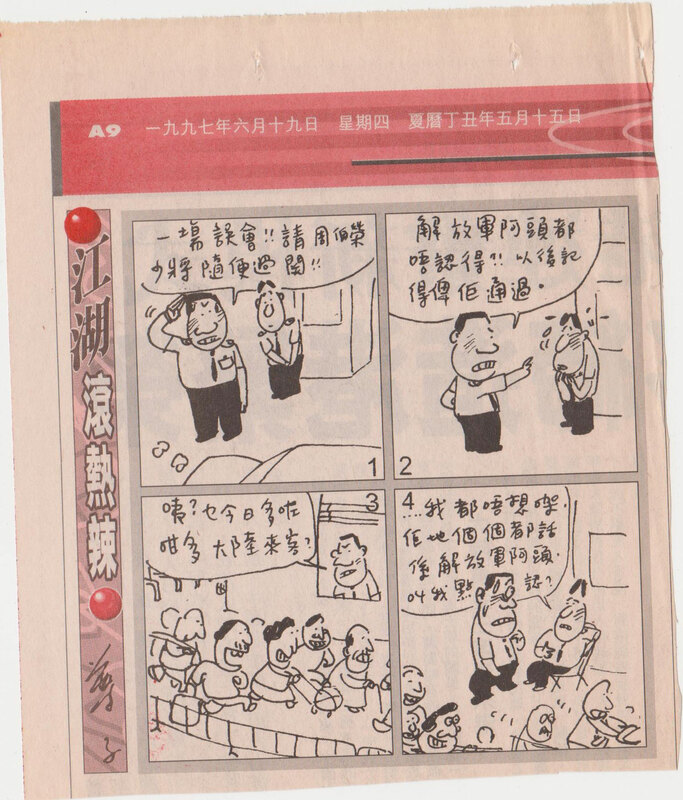 Newspaper cutout - Cantonese text about the Mid-Autumn Festival. 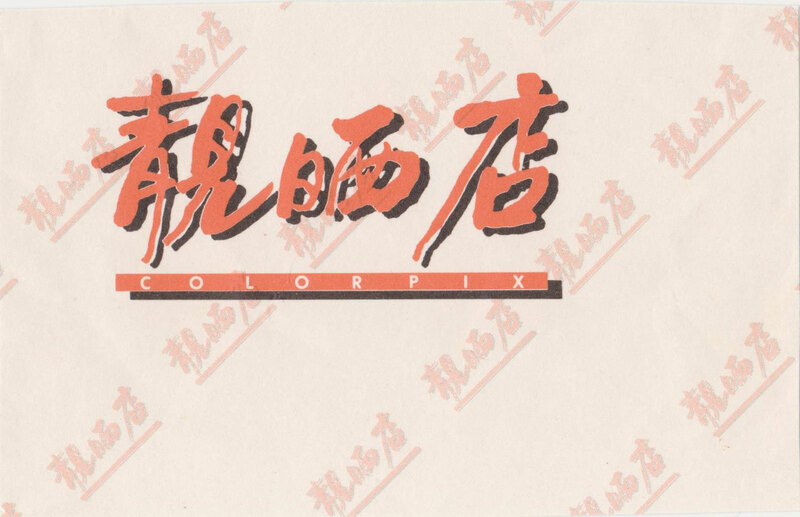 Name of a photography store. Based on the pun between 靚晒 and 靚嗮. Flyer - In evidence the only Cantonese expression 嚟啦. Plastic bag of a supermarket chain. Cantonese expression. 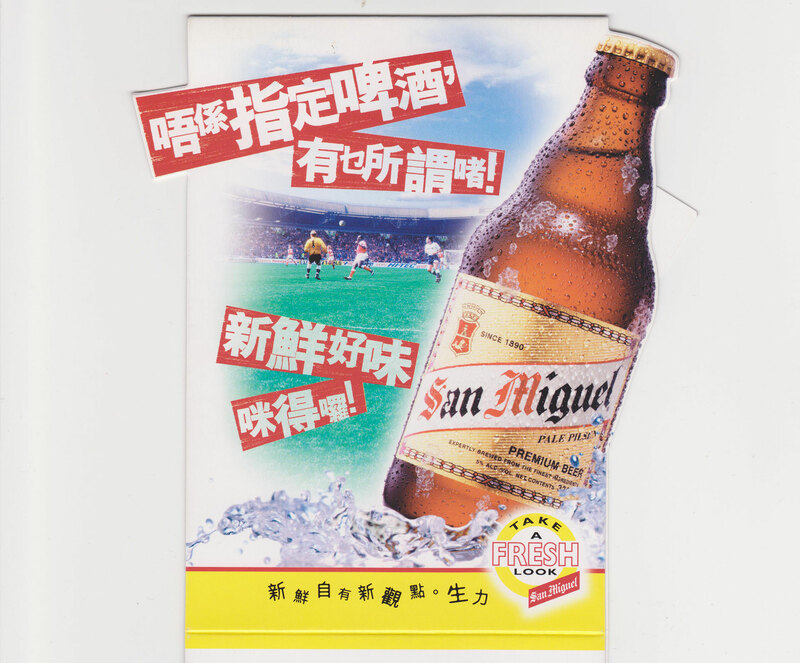 Flyer, all using Cantonese expression, see for example 咪得囉. 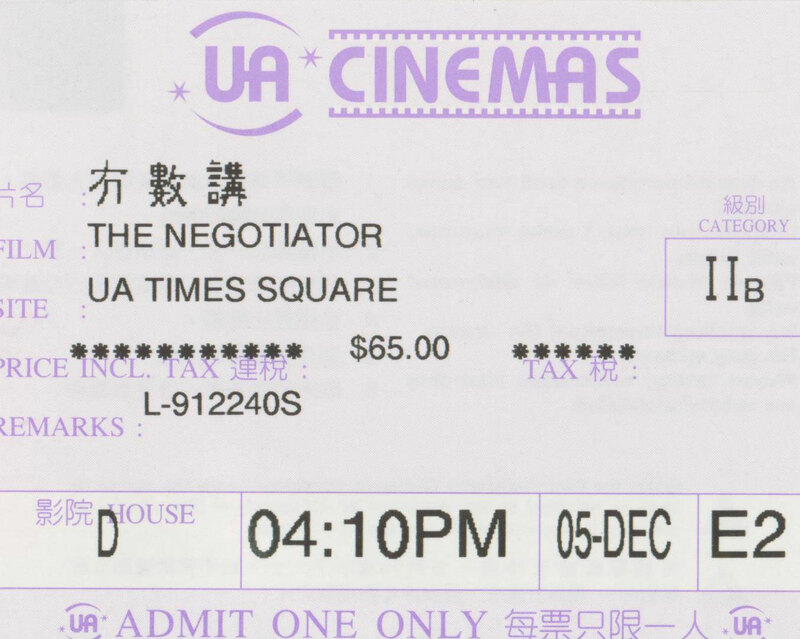 Movie theatre ticket, the title of the movie has been translated by using the Cantonese character 冇.
Flyer - Colloquial, all Cantonese. 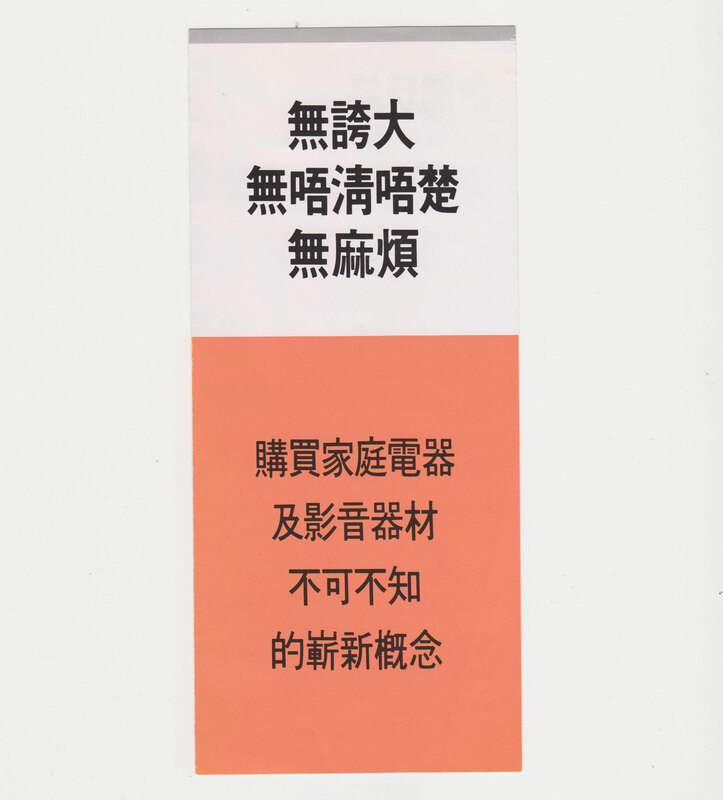 Flyer made of a mix of formal and colloquial phrases, note the choice of use of 無 instead of 冇 in Cantonese expressions, as in 無唔清唔楚. 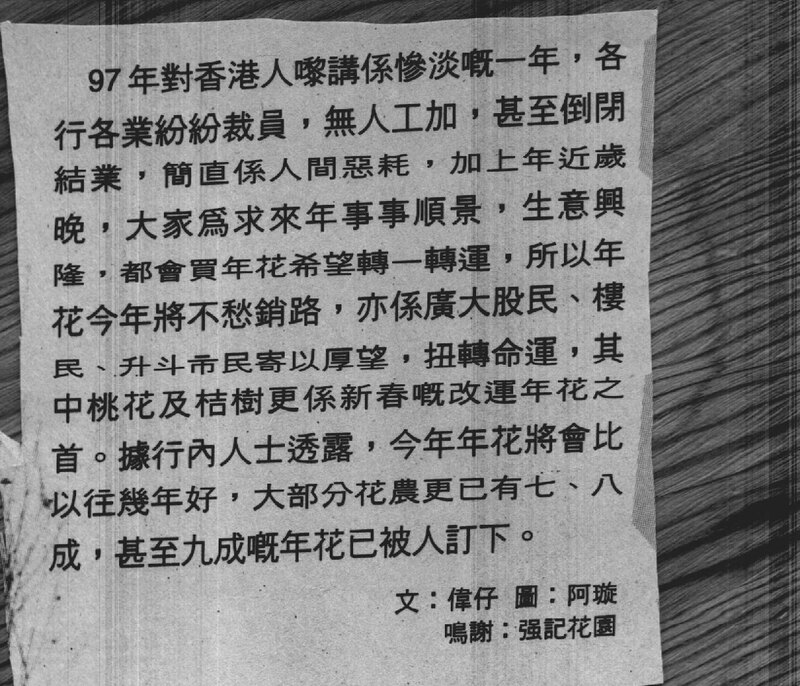 Newspaper cutout - Basically a Cantonese text, although several words are not. 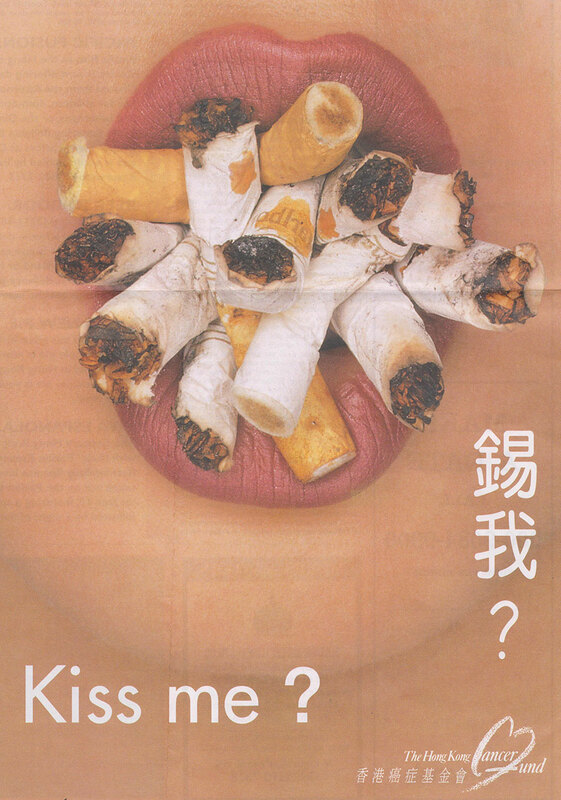 Advertisement - Against smoking, the short phrase "kiss me?" is given by using, as usual, the character 錫 instead of the Cantonese 𡃶, practically unknown. 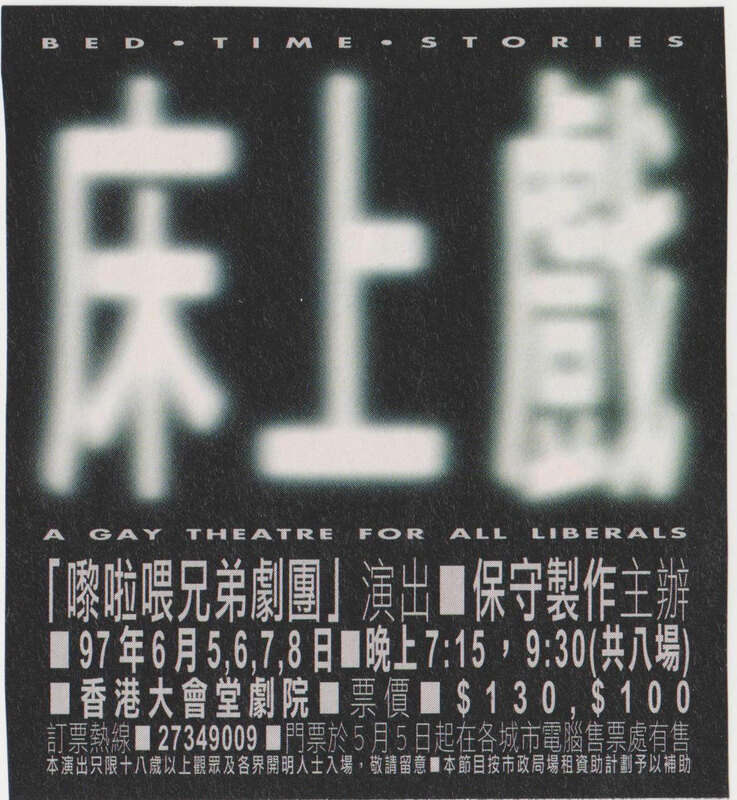 Playbill - It advertises a Cantonese play, as is the title written in. 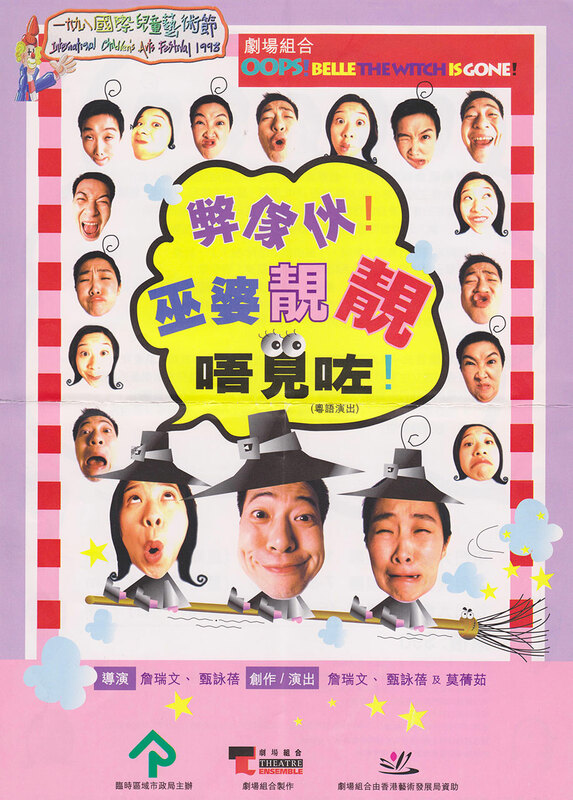 Playbill - Among the various texts, the sentence "一場熱辣辣, 濕立立, 心肝卜卜跳嘅毛巾戲" is made of Cantonese colloquial expressions. Flyer. 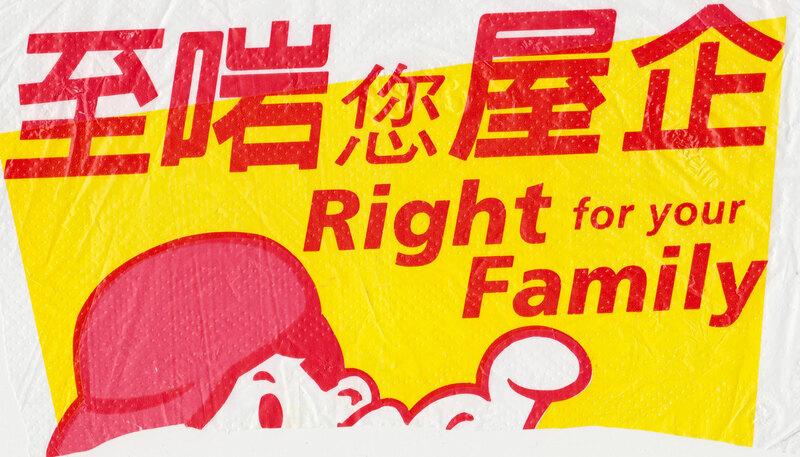 Addressed to people with weight problems, it uses Cantonese dialogues and, being it used in HK, includes even the expression 幾 Fit. Satirical strip - The character says: "Ehi, I'm not saying anything!" 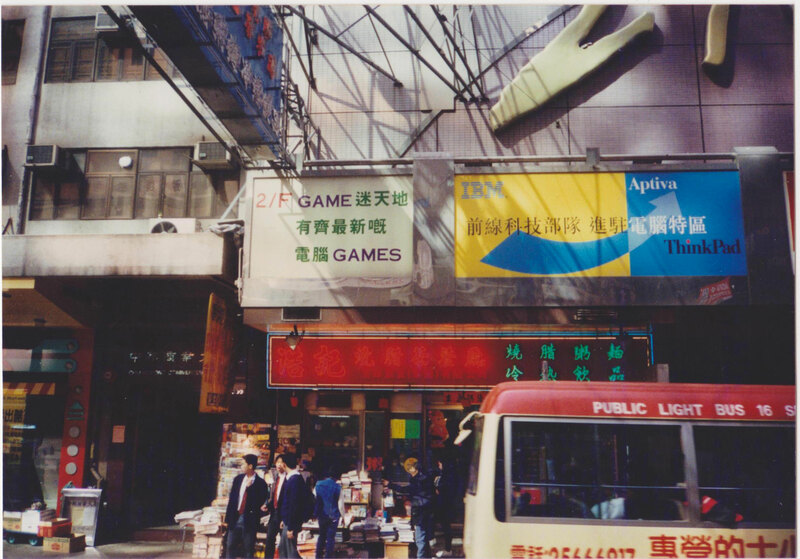 Photo - An Hong Kong street where a small restaurant's name uses the character 孖 for "twins". 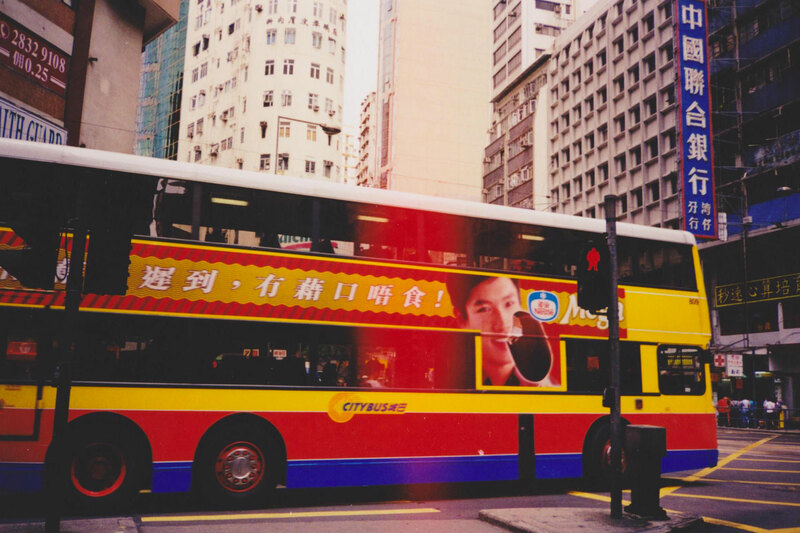 Photo - Advertisement on a bus in Hong Kong, all in Cantonese. 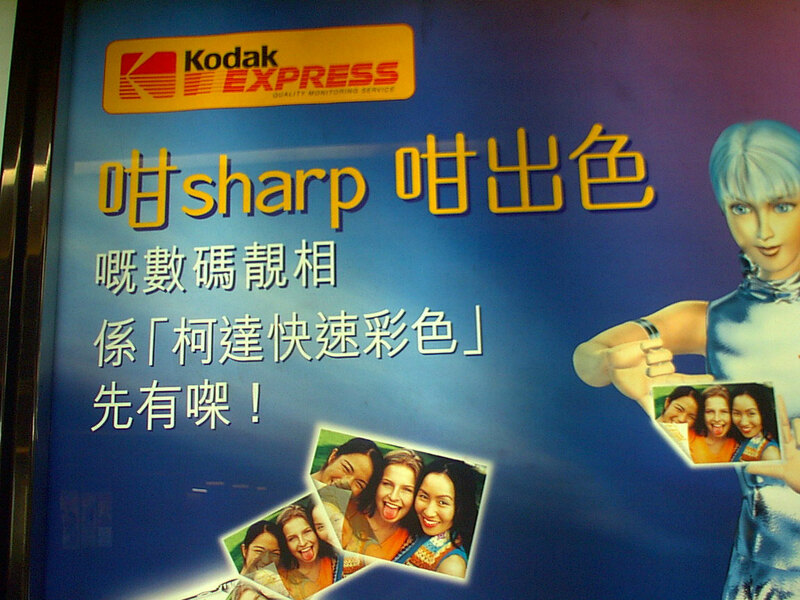 Advertisement - Cantonese sentence also using Cantonese characters. Writing on a shop window. Playbill - All Cantonese sentences. 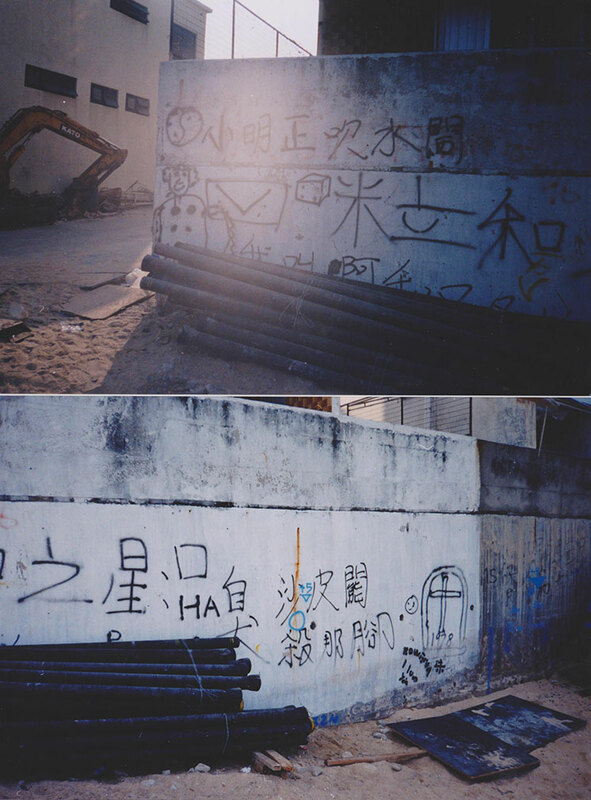 Photo - A wall in Macau covered with sexually explicit sentences. 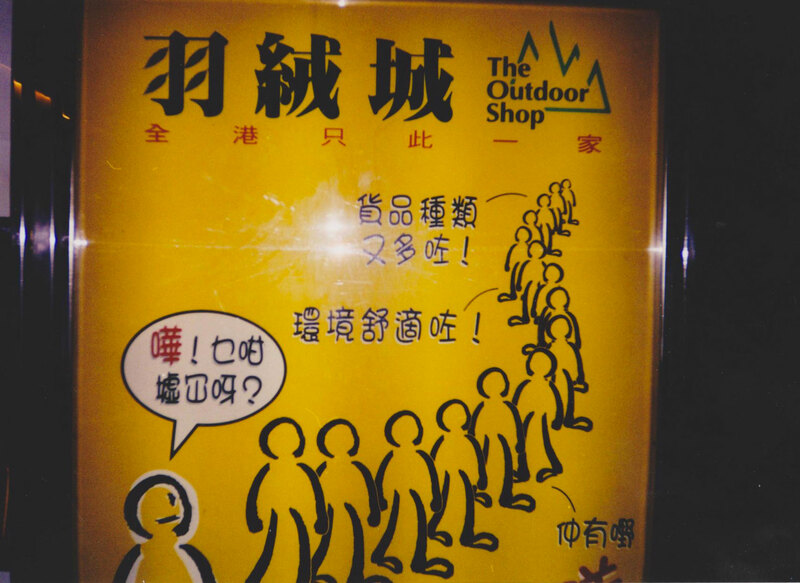 See the presence of the two Cantonese characters 閪 and 𨶙.
Advertisement - The various sentences are in Cantonese, to be noted the use of 咗 for an accomplished action, a past tense, and the word 墟冚 for "crowded and noisy". 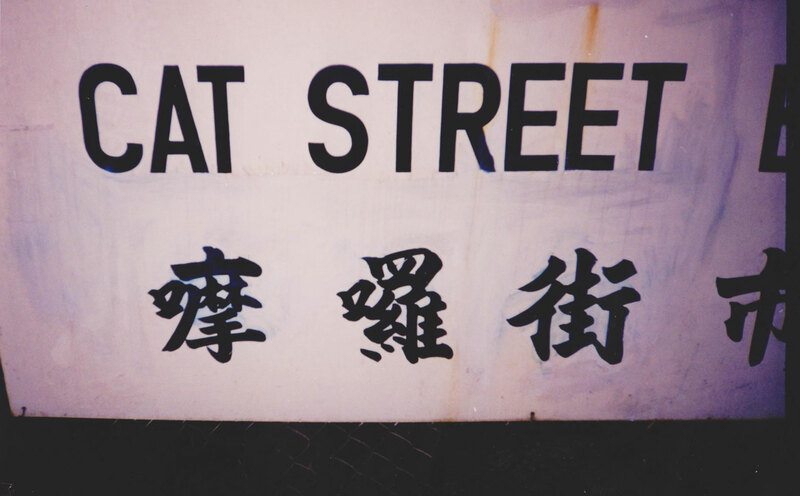 Hong Kong street name plate, written in Cantonese characters, the first is probably wrong because it shall be 摩. The English is not a translation, because 摩囉 is an offensive word indicating Indian merchants called Moorman. 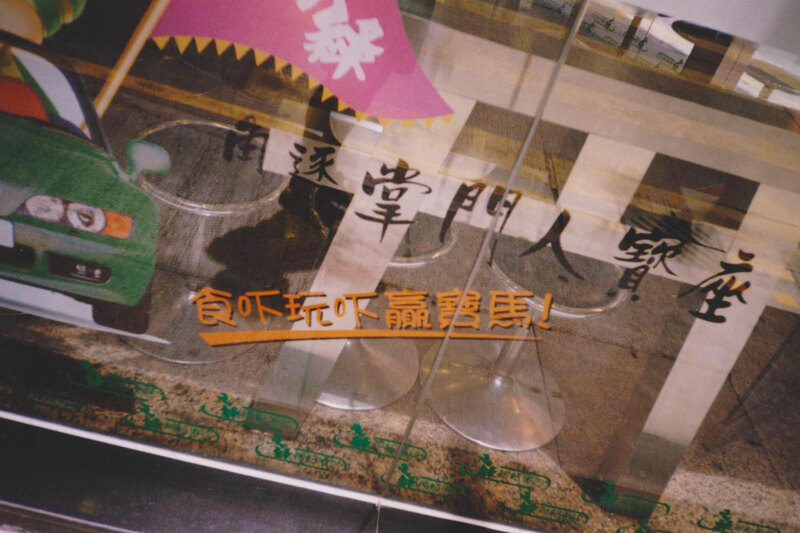 Photo - In an Hong Kong street, a typical example of a board with an English-Cantonese sentence. 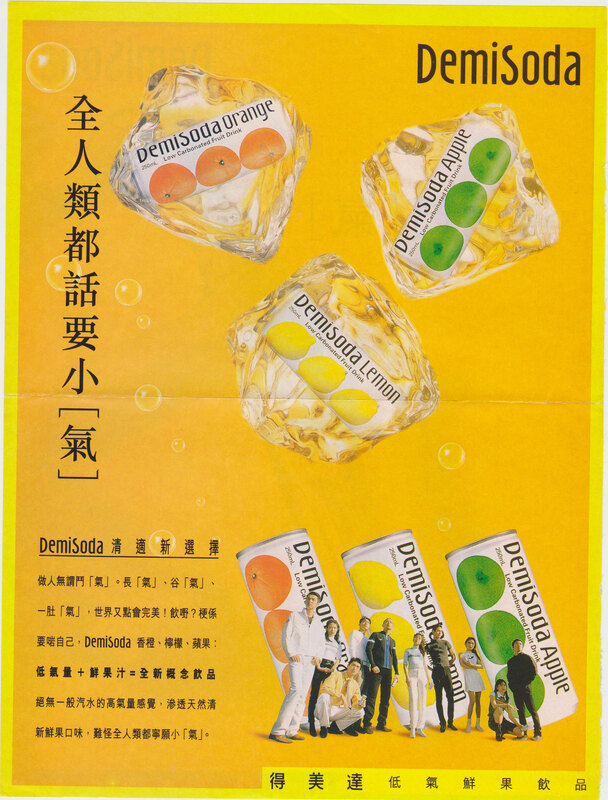 Advertisement - Cantonese text with various Cantonese characters.